Can you make a blanket using just your fingers? Of course you can! 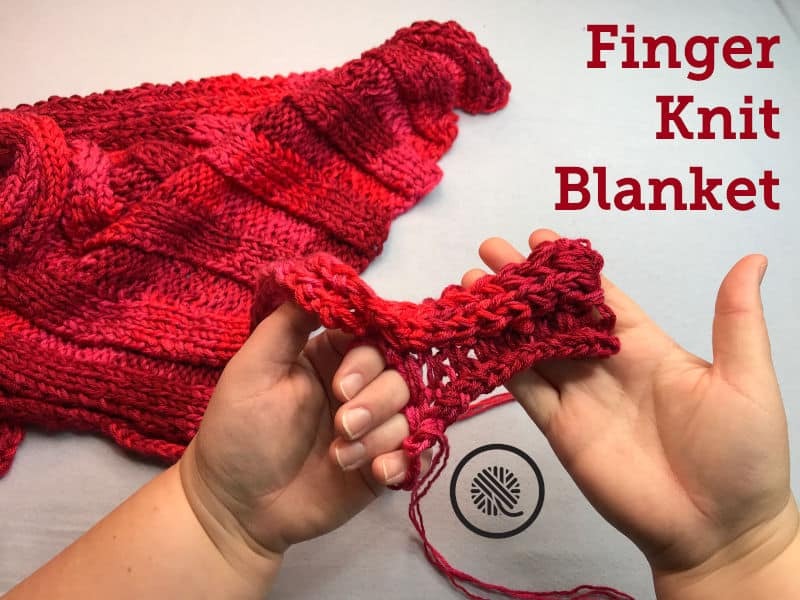 Learn how to finger knit a blanket with my updated tutorial videos for both right and left handed knitters. 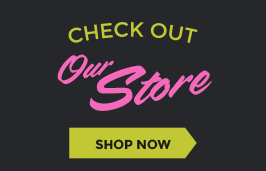 Scroll down for the videos. Using just four of your fingers you can make a large blanket by joining the strips as you knit. There is NO need to sew panels together after you knit. I love how easy this is knit. 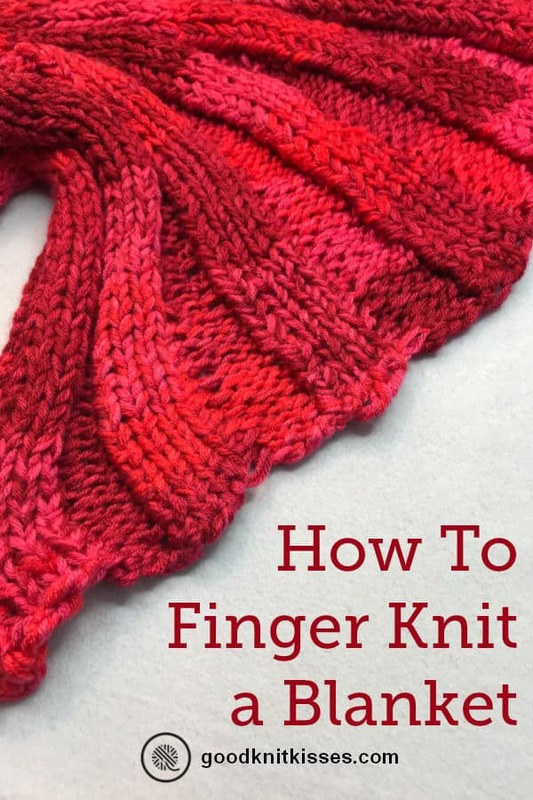 Pattern instructions include notes for which finger each stitch is on: Index (pointer) finger, middle finger, ring finger and pinkie. Knit rows back and forth across your fingers in order. When joining your stitches to previous strip work the join on your index finger. Cast on using double e wrap method. Use the flat knit stitch throughout this project. Lay working yarn above loops on fingers and lift the bottom loop over the top. Flat knit 1st stitch on index finger. Knit 2nd stitch on middle finger. Move the 2nd stitch on top of the 1st stitch and work the bottom loop over the top. Pick up the stitch on your 1st finger and move to your middle finger. We will now call this the 1st stitch. Knit the 2nd stitch (ring finger). Move to the 1st stitch (middle finger). Work the stitch bottom over top. Move 1st stitch to the ring finger and call it the 1st stitch. Knit the 2nd stitch (pinkie finger). Move to the 1st stitch (ring finger). Work the stitch bottom over top. Move 1st stitch all the way back to the index finger and call it the 1st stitch. Cast on 4 stitches using double ewrap cast on. Row 1: Knit across all 4 stitches. Repeat Row 1 until your knitted cord measure the desired length for your blanket. 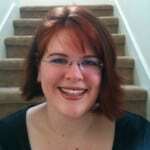 End your row with the working yarn on your index (or 1st digit) finger. Bind off 4 stitches and leave last loop on finger. Move loop to index finger. Make sure your 1 remaining loop is on your index finger. 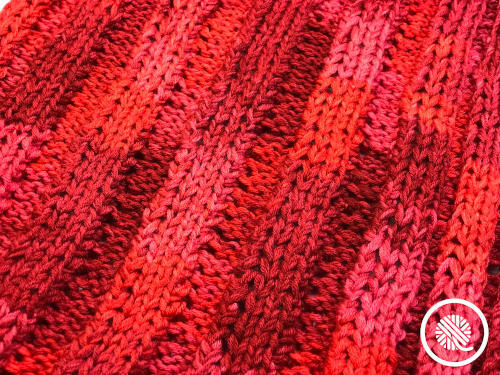 You’ll be joining the previous strip as you knit along the edge that is closest to your index finger. Cast on 3 stitches to your remaining fingers. Row 1: Knit 4 stitches, working back toward your index finger. 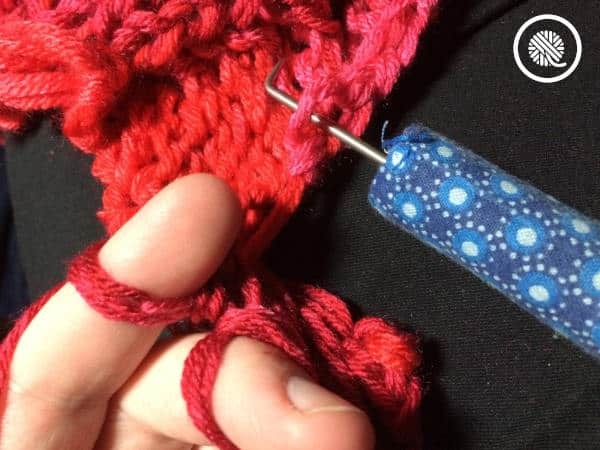 Row 2: Pick up the loose stitch at the edge of the knitting on the precious panel (just below the purl bump) and place it on your index finger. (see picture below) Make sure your working yarn isn’t trapped between. Flat knit 2 stitches over 1 on the 1st stitch. Knit 3 stitches. Repeat Rows 1-2 until you reach the last stitch (will be a cast on stitch). Pick up edge cast on stitch and place on index finger. Using instructions for Bind Off above, knit 2 over 1 on the 1st stitch only on bind off row. Continue joining additional strip until you reach the desired width of your blanket. Weave in ends. With a project this large you’ll need a break. 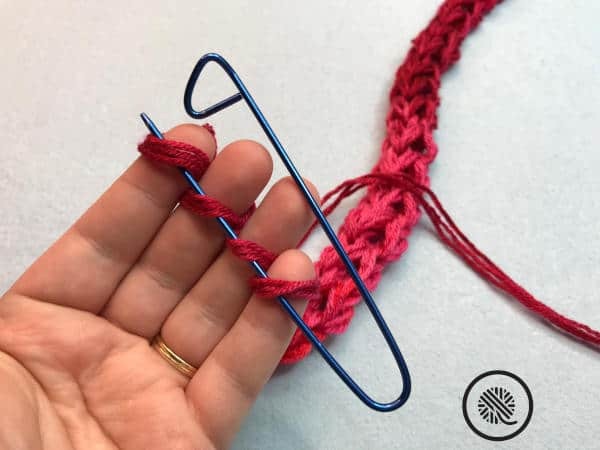 Use a long stitch holder to pick up the stitches on your fingers and keep them secure until you’re ready to knit again. 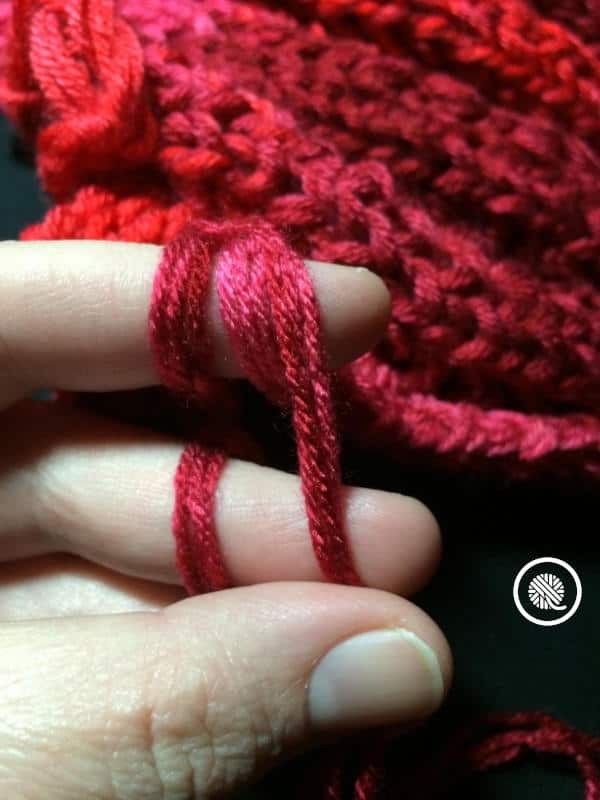 You can also use individual stitch markers to hold each stitch separately. Just make sure you put the stitches back on your fingers in the correct order so your join is always at your index finger.